Sharon White says complaints by Three and EE could derail the "golden opportunity" offered by 5G. The head of the Ofcom watchdog has called for co-operation from the UK's main telecoms networks in order to facilitate the spread of 5G networks. In a letter to the Financial Times published today, Ofcom chief executive Sharon White said that commercial interests must not affect the "golden opportunity" 5G offers to the country. Referencing the recent legal controversy surrounding spectrum licensing in prepartion for the proposed launch of UK 5G networks in 2020, White said that ongoing court battles would "inevitably" delay the rollout of the technology, potentially costing holding the country back in terms of connectivity and readiness. 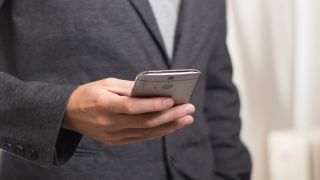 Both Three UK and EE have launched legal cases concerning the allocation of 5G spectrum in recent months, following Ofcom's inital publication of plans on how to distribute spectrum among the networks. In a bid to promote fairness, the regulator said that no company would be able to own more than 37 per cent of the total spectrum amount made available, measures which affected both EE and Vodafone. Along with parent company BT, EE owns a significant share of spectrum, meaning it is in theory better placed to accelerate the development of next-generation 5G networks, which are expected to be activated by 2020. Meanwhile Three, which along with O2 is the smallest provider in the UK (following Ofcom's decision to block a merger between the two last year) complaint stems from the fact that it believes the larger networks will be able to gain too much spectrum, and wants the maximum cap reduced in order to increase competition. In her letter, White wrote: "The courts have agreed to fast-track litigation, but the benefits for mobile users will inevitably be delayed. We planned to complete the auction this year. "Now we will be in court in December. We believe that auctioning some 5G airwaves early would allow companies to start the vital groundwork to make 5G a reality as soon as possible." Originally, Ofcom aimed to complete the auction process by the end of the year, with a further process was scheduled for 2018 or 2019 - but now it appears this may be delayed further.